I was pretty disappointed with the sales this year, especially at the Trafford Centre. However, we popped into Wigan and Warrington over the weekend and the sales seemed to be far better. I picked up some really exciting bargains so I thought I would share them with you. I was so excited to find this. I've been dying to try the S&G bronzers and blushes but at £11 each I thought they were a little pricey. When I spotted this little baby I was too excited, all three blush/bronzer/highlighters for less than the price of one! 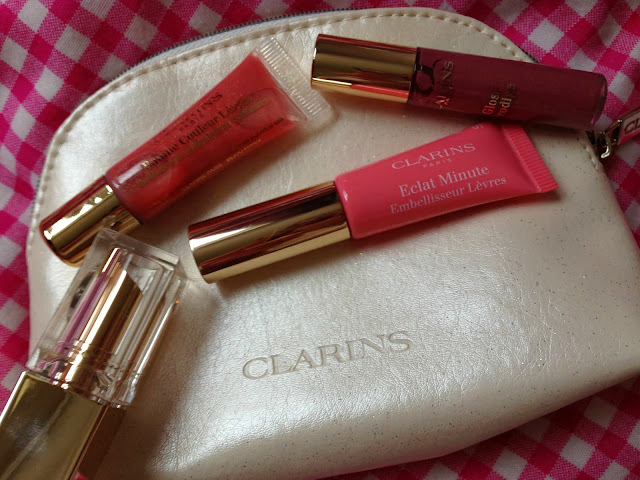 I am a HUGE Clarins fan, as you all know. I spotted this lip set in Boots before Christmas but it sold out before I could get my hands on it. I practically grabbed this off the shelf in Selfridges and I was too excited to see it had been reduced down to £12. I'm a sucker for a good deal and when the lady said I could pick up the Winter Beauty Collection exclusive to Selfridges for a tiny £20, I couldn't say no. You get a full size Hand and Nail treatment, body lotion, body scrub, a bath and shower concentrate (my fave), a mini lip gloss and a cute make up palette. Considering the Hand and Nail treatment is £20 alone, this is a pretty amazing deal. Okay my obsession with rabbits is still going strong. 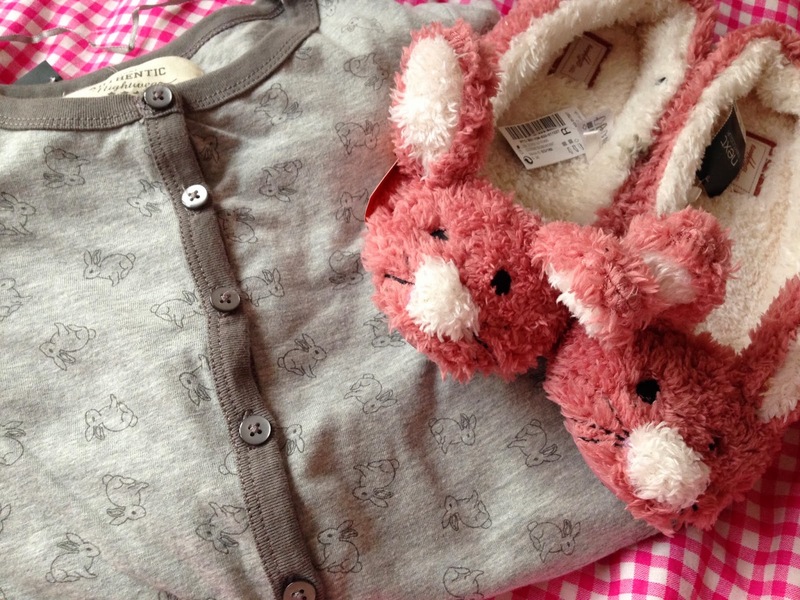 I loved this rabbit print onesie ever since I laid my eyes on it. However, I couldn't quite justify the £20 price tag when I had a perfectly good onesie sat at home. My pug onesie has swifty made it's way to the back of my PJ drawer. These slippers were too adorable to leave behind, they need no explanation, I just LOVE them. This has to be my biggest bargain by far. This was initially reduced to £30 in the sale however the poppers on the pockets have fallen off on the inside, which makes no difference to the look of the coat, but it does mean it was deemed faulty. If you've never discovered the River Island 'imperfect' rail before, it's well worth a look - an extra 75% off sale items! I had a gift card to spend in M&S and I knew immediately that I wanted a new candle (I'm beyond obsessed..). 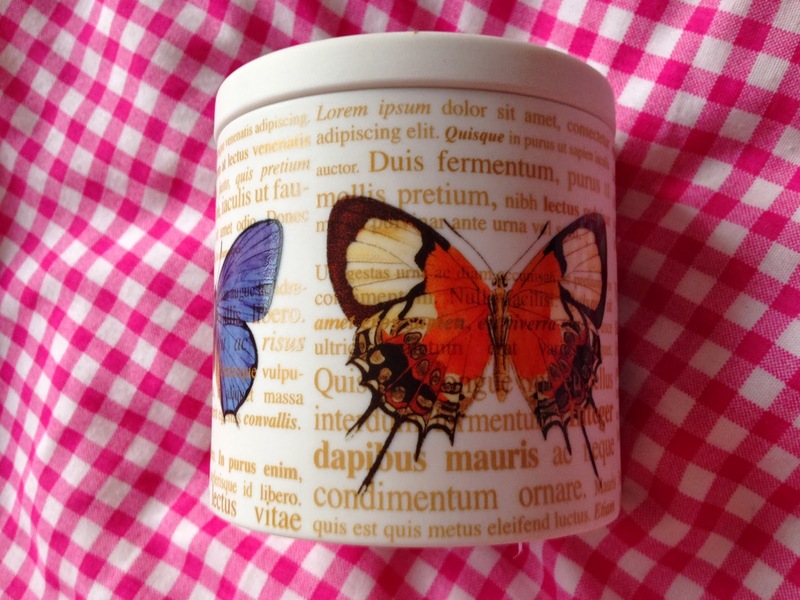 I saw this beautiful butterfly candle in the sale and knew it had to be mine. I love that it's in a gorgeous ceramic jar and will look so pretty on my dressing table even after the candle has burnt. I'm a huge fan of Apvita and their face masks are amazing. 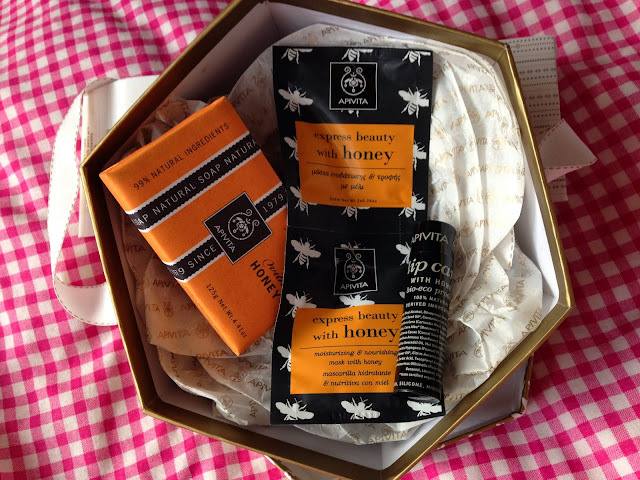 I was really impressed with this littler set - considering the face masks are £3 alone, I couldn't turn down this little baby. I've also ordered some goodies from Lush's sale, I can't wait for them to arrive - expect a haul post! I'd love it if you'd vote for me in the UK blog awards, just click the button below! You got such great deals!! Ohhh I love the Clarins products :) always amazing to grab them in the sale!! And the candle is so cute :) you've got some lovely bits! 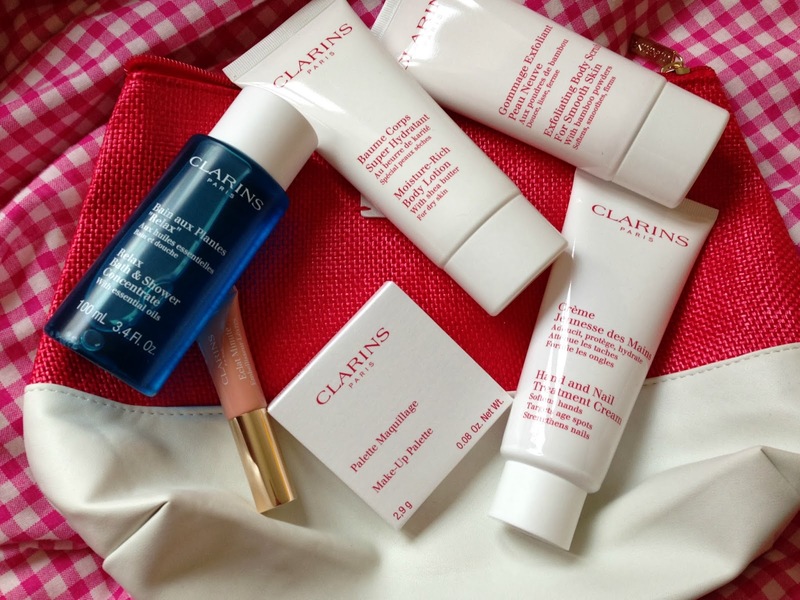 The Clarins products look really good, great deal! WOW! What an amazing bargain on that coat!!! I love it! I love the coat so much, great find! 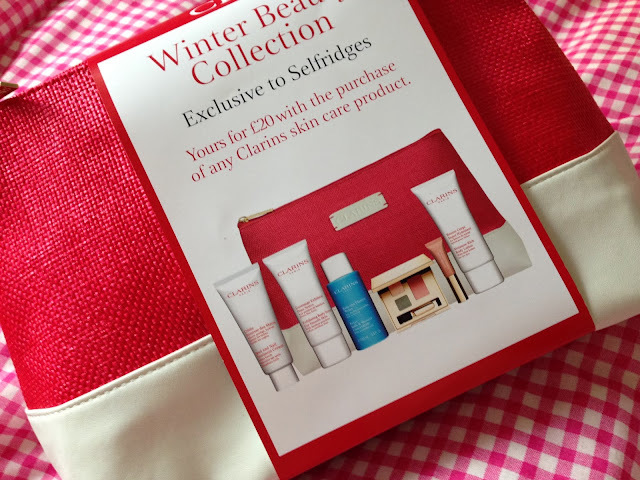 some really nice clarins items in there! enjoy! You've got some great stuff and deals! 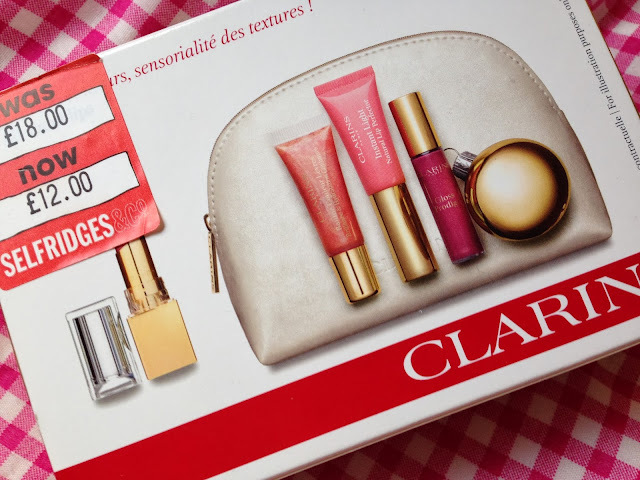 The Clarins set looks great! Wow you got some real goodies! Love what you got, some great bargains! Reading your post I feel really bad about myself, I couldn't be bothered going among the masses so I stayed at home. I saved money but I have nothing :( Some amazing products you have there! 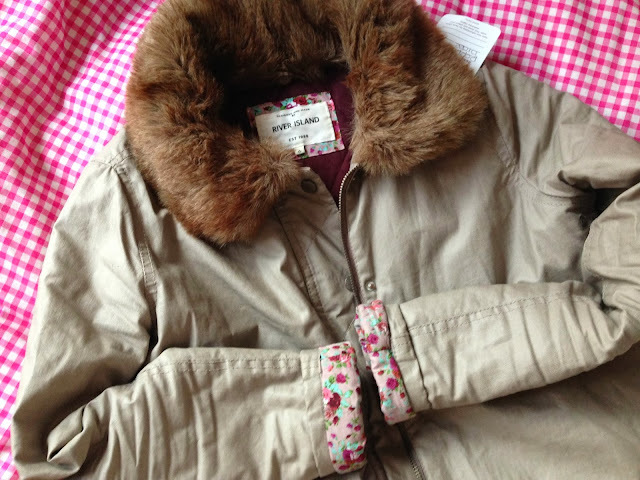 Some amazing finds here, particularly the coat - can't believe that was only £7.50 the hood looks super cosy and really like the floral lining too :). 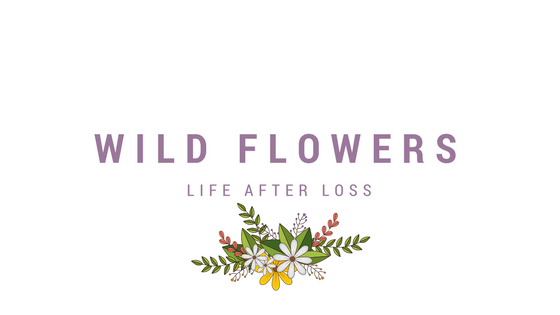 How have I only just discovered your blog? It's blimmin' fantastic! 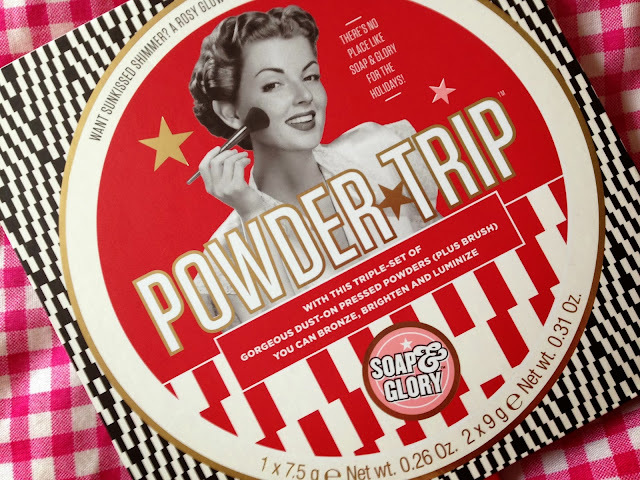 I just got the S&G Powder Trip today, was an absolute bargain! I do love the bunny slippers! I WANTED THAT COAT SO BADLY!!! I'm sooo jel! I NEED THAT COAT!